What started out as a compassionate goal for saving the environment has evolved into a passionate pursuit for innovation and design. In 1994, Jamie Bailey, co-owner and co-founder of C.R. Plastic Products Inc., started manufacturing recycled plastic furniture in an effort to divert used plastic away from landfills, and limit unnecessary felling of trees. His goal was to make a product that would provide the look and warmth of wood, without the typical shortcomings associated with maintaining wood furniture. The proprietary extrusion process discovered, improved & customized by Jamie, produces a unique plastic lumber that won’t mold, rot, splint or crack. The process creates a superior fit and finish, including a beautiful textured-look similar to the grain of wood, and smooth rounded edges for enhanced comfort. With an added automotive-grade, UV stabilizer, each piece is guaranteed to maintain its beautiful colour for years, without the need of staining or painting. 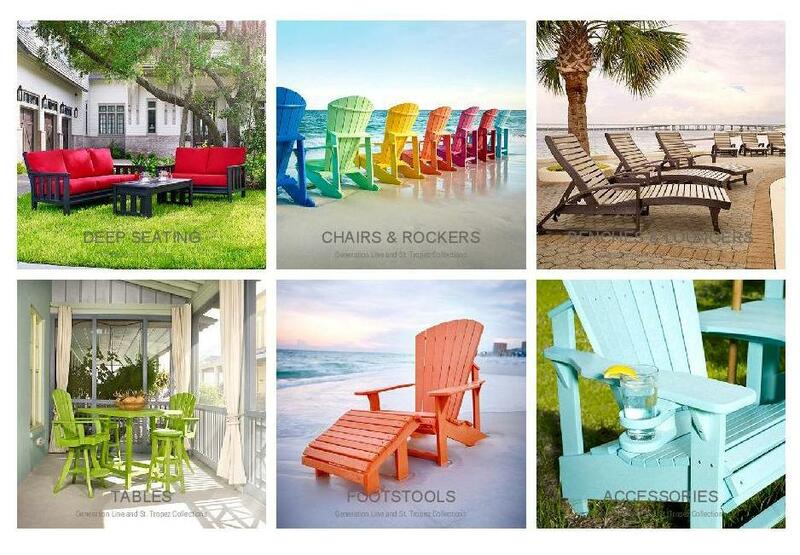 Since perfecting the comfort and design of our flagship Adirondack chairs, we have expanded our furniture into three distinct lines. The Generation Line offers timeless designs modeled after the classic Adirondack look. 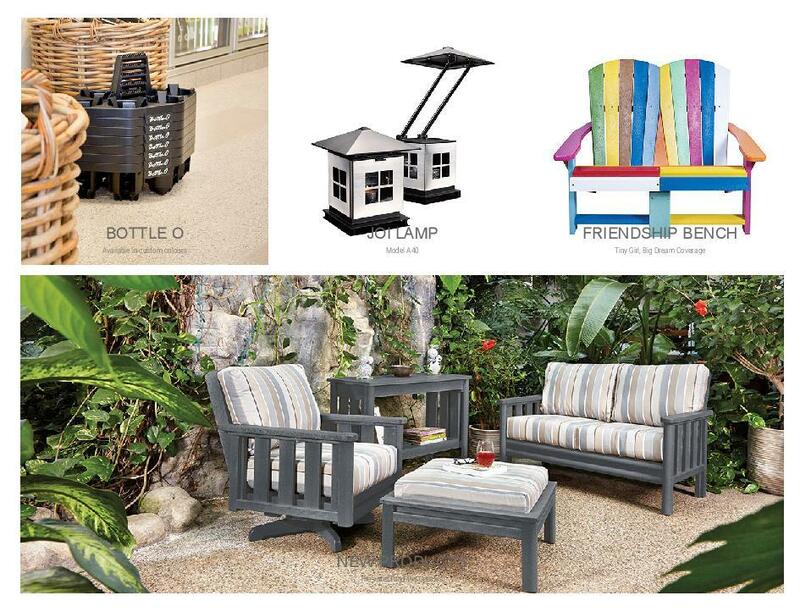 The St. Tropez line offers fresh options for the urban outdoors with its stunning, contemporary look. The Stratford Deep Seating Collection is extremely comfortable and stylish with its unique bullnose finish and weather-proof Sunbrella fabric cushions. Our newest line, the island inspired Bay Breeze Coastal Collection has sturdy horizontal back slats with sleek new curved extrusions that define this bold new look. With a multitude of options for everything from outdoor dining to casual seating, we make something for everyone!